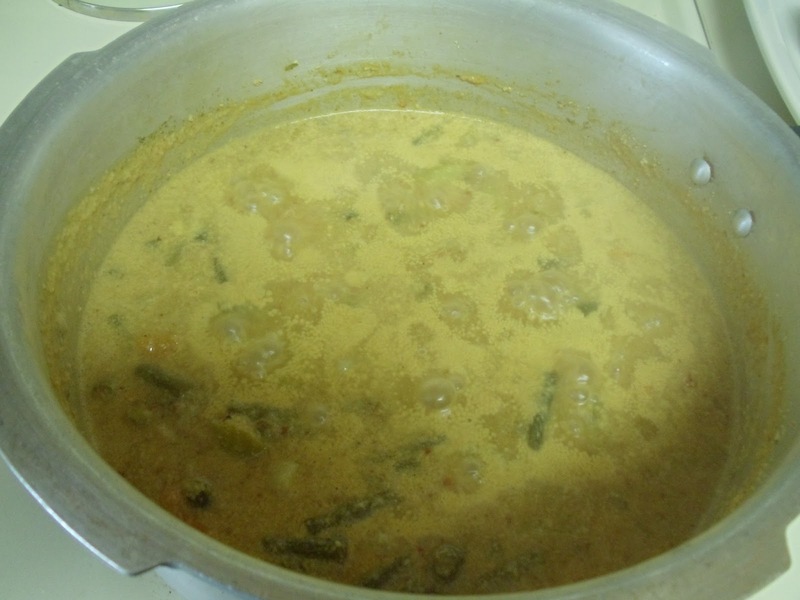 Bharshi Upkari is a dish with lot of veggies in coconut based sauce. Bharshi in konkani means mixed. This dish is almost similar to one of my post- Gajbaje. The only difference between these two is the masala. 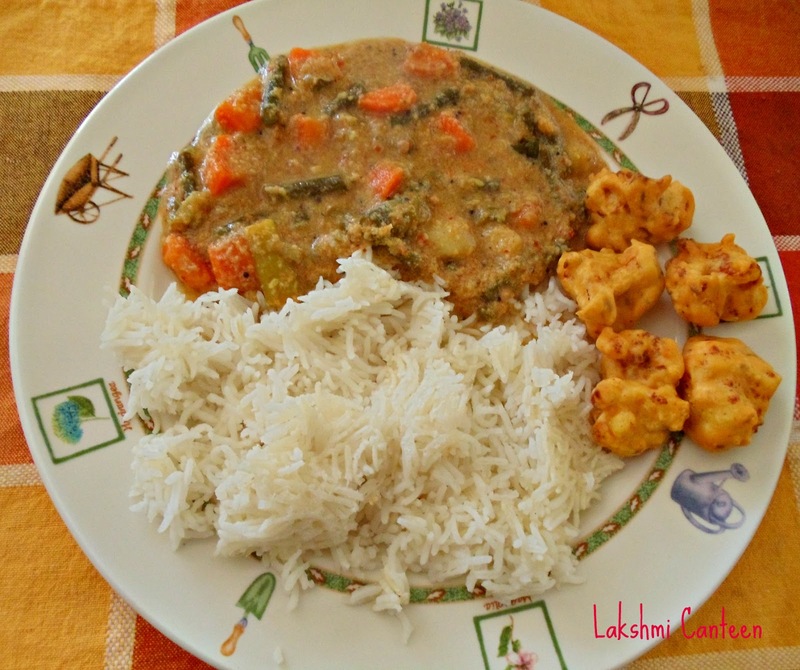 We don't add any spices in gajbaje whereas for this dish we add. For the first time I ate this dish in a temple (served as prasadam) and liked it very much. I always wanted my amma to make this for me but she didn't have the recipe. Finally last week she got this recipe from my aunt. 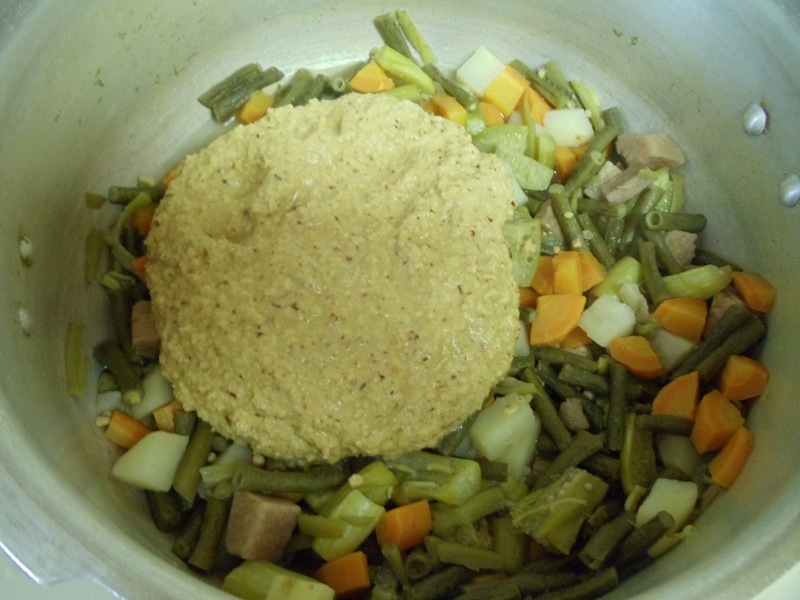 Try making this healthy dish. Vegetables I used were- cowpea beans (alsande), carrot, potato, lady's finger (okra), ivy gourd (tendle), beans and suran (Indian yam). You can make your own combination except bitter gourd, drum stick, onion. 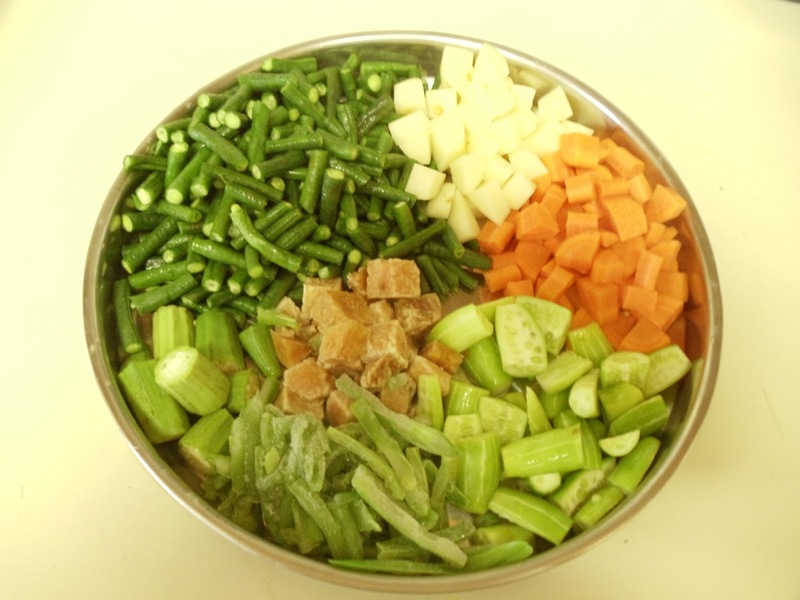 Wash all the vegetables and chop them into desired shape. Cook the vegetables in a cooker by adding required amount of water and salt to taste (1-2 whistles). Now grind the grated coconut, roasted red chillies, tamarind and the roasted spices with little water. The consistency of the masala should be in between coarse and fine.Add this masala and small piece of jaggery to the cooked vegetables. Mix them well. Stir the vegetables gently, as there are chances of some vegetables getting smashed. Bring it to a boil and then continue heating for five more minutes. Turn off the heat. For seasoning- heat 1 Tbsp of oil. Once it gets heated add mustard seeds. After it splutters, add curry leaves and turn off the heat. 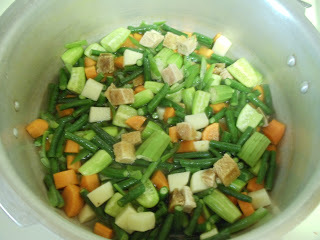 Add this to the vegetable-masala mixture and mix well. Bharshi Upkari is ready!! Serve it with rice, idli. Above measurement serves four people.